A new Dredge is likely one of the largest and most important investments you will make for your business. Our primary goal is to make sure that your decision to acquire a dredge from Custom Dredge Works Inc. will produce maximum return on your investment day-in and day-out for years to come. 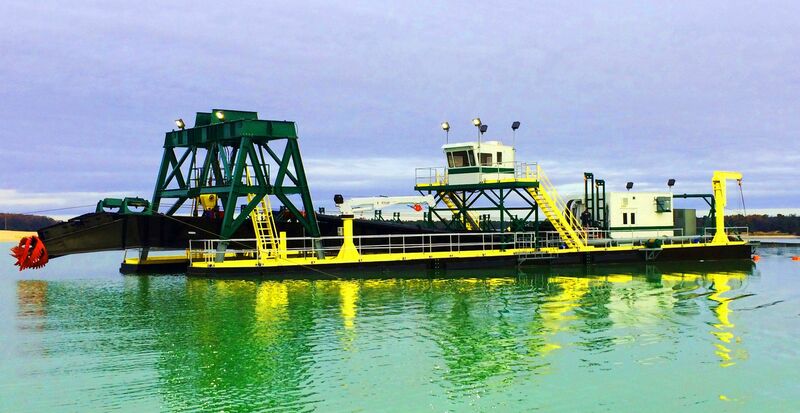 Custom Dredge Works Inc. is a professional hydraulic dredge manufacturer, based in Topeka, Kansas. We provide equipment and services throughout the United States and internationally. Custom Dredge Works is turning land-locked Topeka, Kansas into a dredge manufacturing powerhouse. Watch how their custom designed dredges, powered by Cat® Industrial Engines, is gaining international attention. As a Custom Dredge Works customer and member of the Custom Dredge Works family, you and your team will enjoy direct access to our President, John Jones, via his personal mobile phone to expedite and trouble shoot any issues with your Custom Dredge Works dredge. Additional contact points include the direct support of our specialized expert staff (Electrical, Automation, Hydraulics, Mechanical, & Parts) at no additional charge.